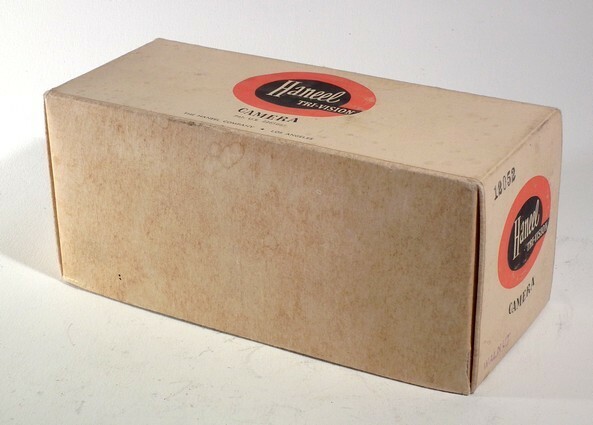 Manufactured in Etats-Unis from Circa 1944 until after 1950. 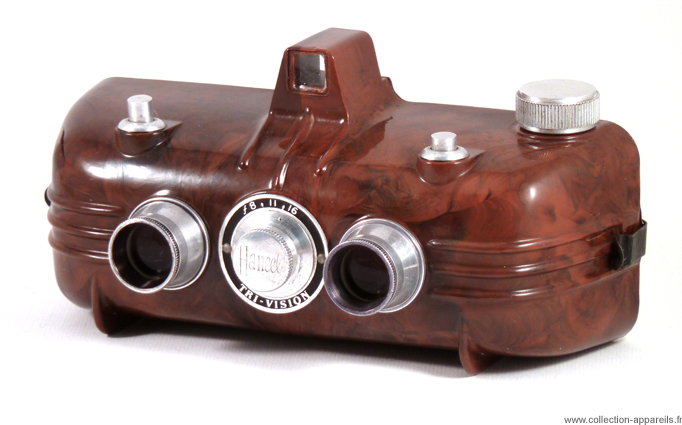 Made of marbled brown bakelite (also available in black), the Trivision is a stereo camera providing 6 stereo views or 12 single views when loaded with a type 828 film. There is no focusing.. Three apertures (f: 8, f: 11 and f: 16) are set simultaneously on both lens by means of the large central knob located between them. Contrary to what is said on some sites, there are not two triggers, one for each objective, but only one, common, to the right when taking the photo. The button on the other side provides the time exposure when depressed. The views counter, with three windows where you have to read alternately allows to to frame "simply" (this is stated in the manual) numbers of the 8 views on the 828 film on the six views of the Trivision ! 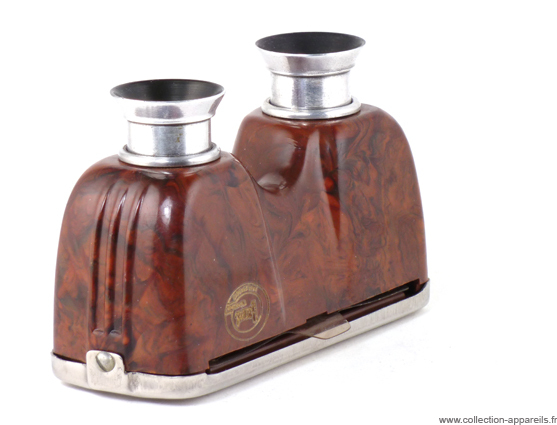 Manufacturing is low quality, bakelite is frequently veiled or cracked, the back is simply held by two spring clips! Despite this, the Trivision arouses a strange aesthetic seduction.